In my opinion, one of the most appealing things about the Galaxy S III is the sheer amount of accessories made specifically for it. Never before had we seen an Android handset get as much love from all the big players, which is likely one of the things that made it such a popular handset. 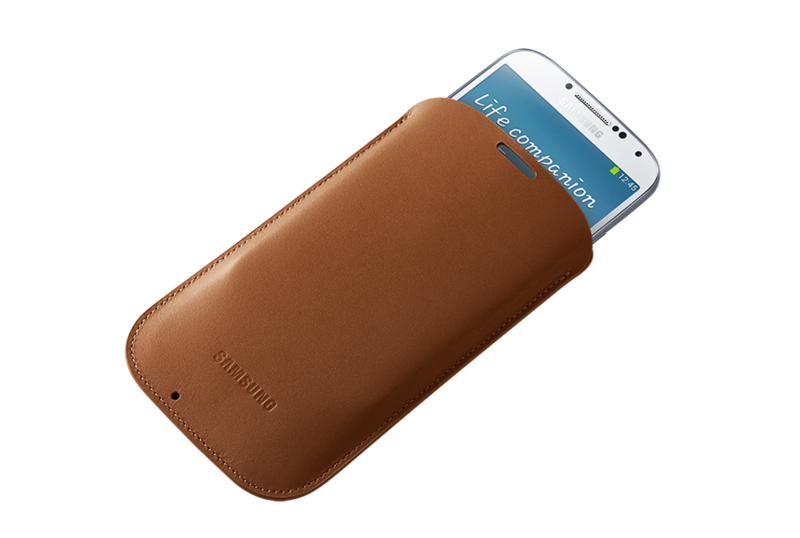 Continuing that sort of add-on support, Samsung is coming out swinging with the Galaxy S4, as it has already announced a gaggle of pretty impressive accessories just for the device. Part of the S Health accessories, the S Band is akin to Jawbone's Up. It's a bracelet-type accessory that monitors your calories burned, distance traveled, sleep efficiency, and more. It's also waterproof, which makes it practical to wear essentially all the time. The HRM is, as the abbreviation may suggest, a heart rate monitor. Also part of the S Health series, this one helps you keep an eye on your BPM while working out, and it also works with the Running Mate app. Brilliant. Rounding out the S Health accessories is the Body Scale, which communicates with the GS4 over Bluetooth, allowing you to easily keep track of your weight loss (or gain). It supports up to seven users, and also works with S Health 2.0. It's a flip cover with a little window, which lets relevant info show through without having to actually flip it open. You should also be able to talk on the phone thanks to the speaker opening, as well. The amount of Bluetooth gaming controllers that have hit the scene over the last year is mind boggling. 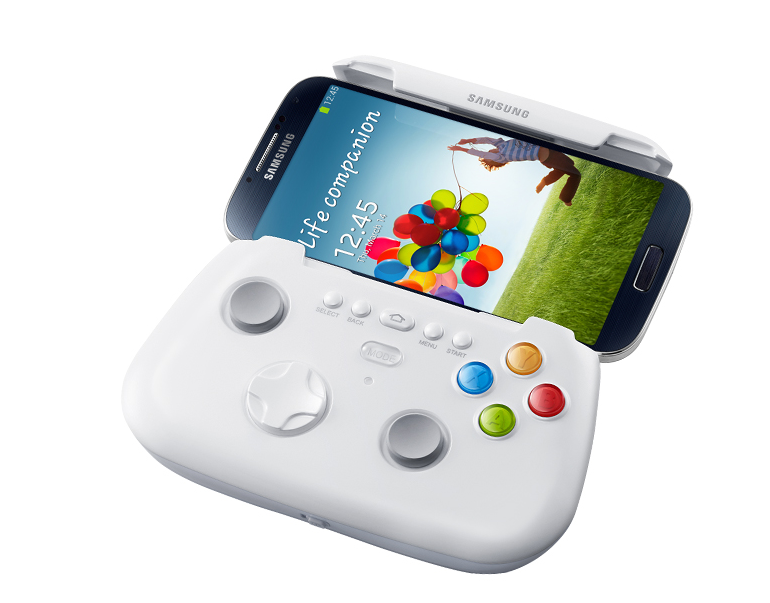 So Samsung wants to get in on the action now with what appears to be a pretty solid-looking controller. It pairs in one touch with NFC, offers a full array of requisite buttons, and even works as a remote control for a "home gaming experience." Whatever that means. On a side note, the unit can old devices from 4-inches up to [a very specific] 6.3. Does the latter number possibly indicate the screen size of a certain third-generation "phablet?" Guess we'll find out. Plugging your phone in to charge is old school, man. 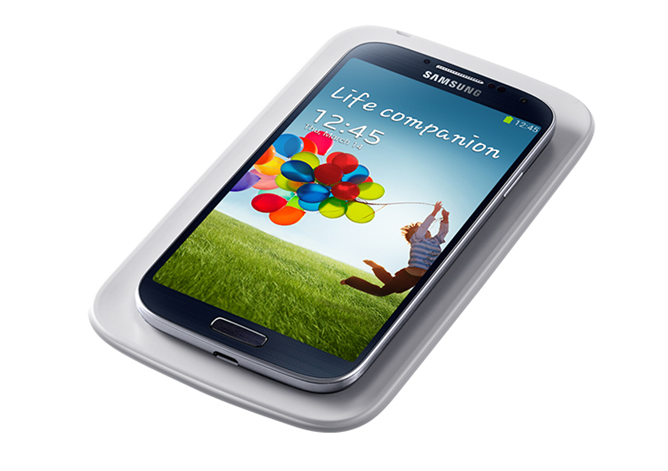 Wireless charging is the new hotness, so it only makes sense that Samsung would bring it to the S4. While I'm not sure how this "pad" also works as a "cover," having it serve double duty is a neat idea in itself. Looks like I interpreted this one wrong – it's a cover/pad combo that enabled wireless charging on the device. That makes it sound like it's going to proprietary. Just like the ones for the Note II and S III. Only for the S4. It's a slipcase, for guys (or gals) who like slipcases. It also has an opening for the speaker, which doesn't make a lot of sense to me. 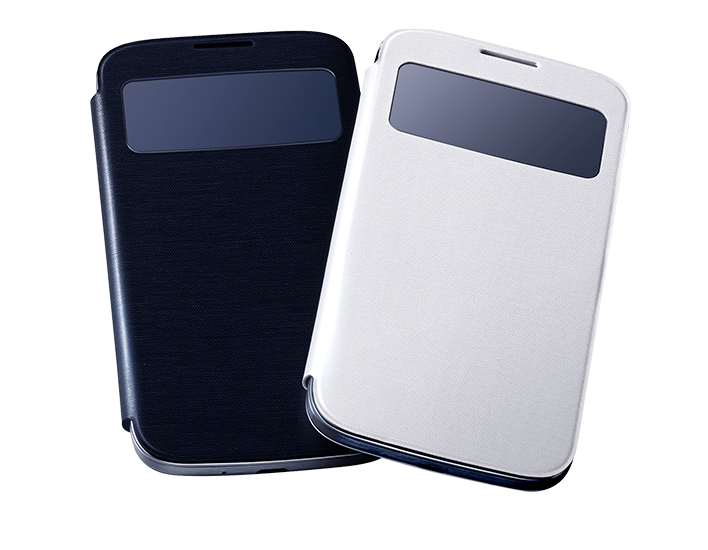 Better than a regular protective cover (as indicated by the "plus" sign), it offers "complete protection for the Galaxy S4." Sounds fancy. 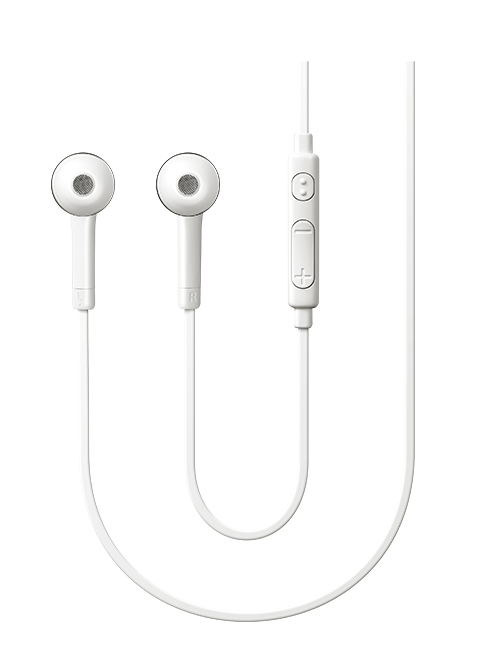 Earbuds. 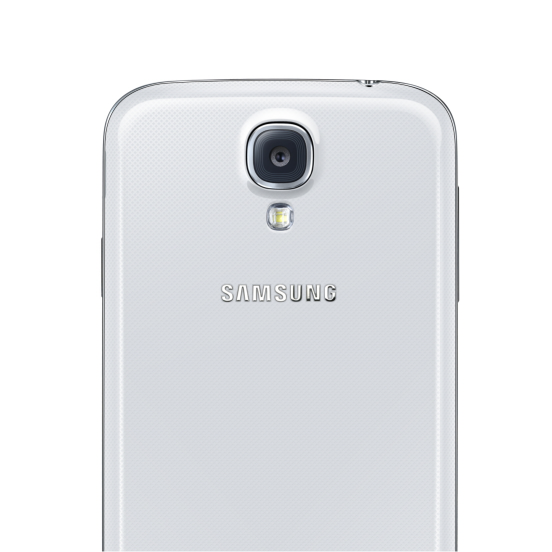 Just for the GS4. Does this one really need explanation? 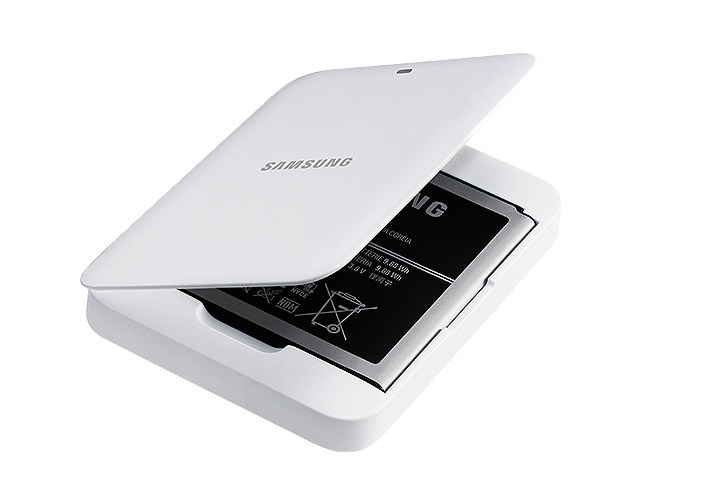 Looks like a second battery and nifty little charging station. For those people who need at least 5,200mAh, I guess. 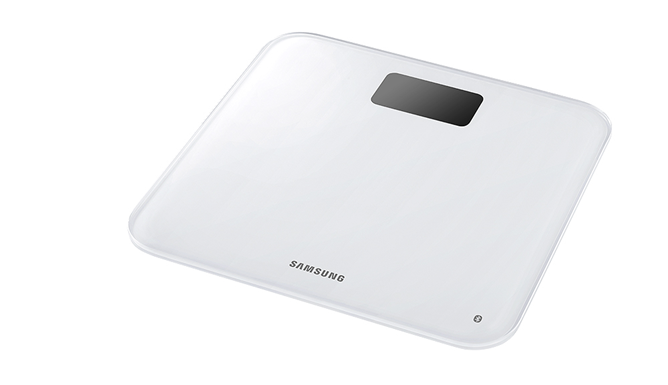 It's clear that Samsung really intends on trying to live by the "Lifestyle Companion" motto for the GS4, thanks to accessories like the S Band and Body Scale. There's no word when these accessories will be available, though it's not hard to imagine at least half of them hitting the same day as the GS4 itself. To get a closer look at these accessories, you can head over to Samsung's GS4 microsite and hit the "Accessories" button.